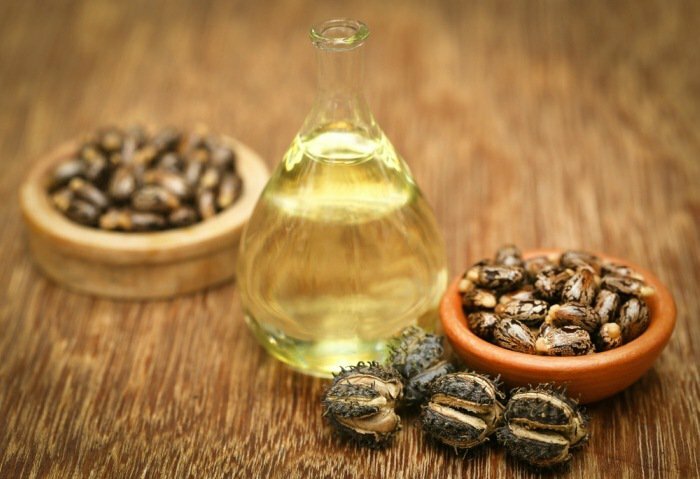 Castor oil is a fatty vegetable oil obtained from the seeds of the ricinus communis plant. It is infamous for its foul smell and taste, and historically was used to purge an upset stomach. Today it is mostly used externally in personal care products. Castor seed oil contains fatty acids in it that nourish hair and prevent the scalp from drying by retaining moisture. It is known to aid in skin conditioning, skin soothing and even hair growth. Castor oil is often used in cold process soaps to boost foam.